Henagan Team Dentistry has a uniqueness that surpasses what one would expect from a traditional dental office. We are blessed to have a team to that welcomes our patients with warm and friendly smiles! Many have shared that they feel as though they are in the presence of family. We continue to strive for excellence above and beyond our current level of care. This pertains not only to our relationships with our patients, but the knowledge and technology that Dr. Henagan continues to advance with, as well. In order to truly set ourselves apart from others, we feel as though our personal qualities and sincere love of our profession are so much more important than “things.” At Henagan Team Dentistry, you are valued as a complete person. There are no judgments, only welcome arms and listening ears to help you with your needs and wants. Our first priority is to meet you where you currently are in your dental health. Our goal is to ease your mind, gain your trust, and walk with you on your journey to a healthy, beautiful smile! What Makes Henagan Team Dentistry Special? Experience! 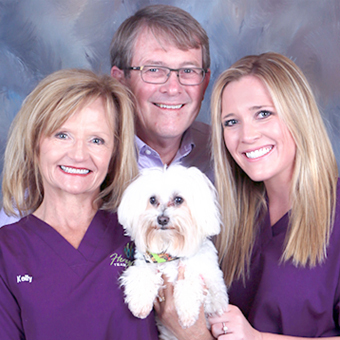 Our team has more than 104 years of combined experience working with Dr. Henagan. This has given us the opportunity to develop long-lasting relationships with our patients and to learn the most effective dental treatments that pertain to our patients. We go the extra mile. We are committed to accommodating individual needs whenever possible. Your comfort and trust are of the utmost important to Dr. Henagan and the entire team. To help you feel at home, we offer amenities such as iPods with various genres of music, warm blankets and neck pillows, WiFi, and beverages. We provide the extra touches necessary to give you a positive and relaxing dental experience. Advanced dental services. Our goal is to help you and your family attain optimal oral health for a lifetime of beautiful smiles! We offer a variety of dental treatments, from preventive dentistry to cosmetic and restorative procedures, including CEREC® single visit crowns, Invisalign® clear aligners, and KöR® teeth whitening. We truly care. At Henagan Team Dentistry, we see ourselves as more than just a dental office. We are part of your community, and we want every patient to leave feeling healthy and happy. Our staff is always here to give undivided attention to patients who simply need to talk. We really do treat our patients like part of the family, and we know that part of building a great patient relationship simply means being there for them when they need it most. Teamwork! The Henagan Team truly lives out the word “Team” by accepting that we all march to the beat of a different drum. We combine our individual strengths to put forth the best possible care for our patients. Patient care on a personalized level is a top priority! At Henagan Team Dentistry, excellence truly runs in the family! Dr. Henagan is blessed to have his wife Kelly at his side, daily, supporting him in his passion to help people. Believe it or not, their trusty pet Tucker is part of the action, too! Tucker has become a mascot for Henagan Team Dentistry and even has his own fan club! Dr. Henagan works diligently to provide you with the finest dentistry possible. Gaining and maintaining your trust and confidence are a must, so he’s created a comfortable and caring atmosphere where you’ll immediately feel like part of the family. As if this weren’t enough, we are thrilled to announce that Abigail, Dr. Henagan and Kelly’s daughter, will soon be joining forces with her father to provide you with exceptional care! Abigail will graduate in 2019 and is excited by the opportunity to serve you. We know her compassionate heart and warm, beautiful smile will soon earn your trust! Let the Heangan Team treat you to a dental experience like nothing you’ve ever imagined. We love creating smiles that last a lifetime and enabling you and our other patients to enjoy healthier, happier lives! Come visit Henagan Team Dentistry in New Iberia, and join our family of patients. We’ll keep you smiling!